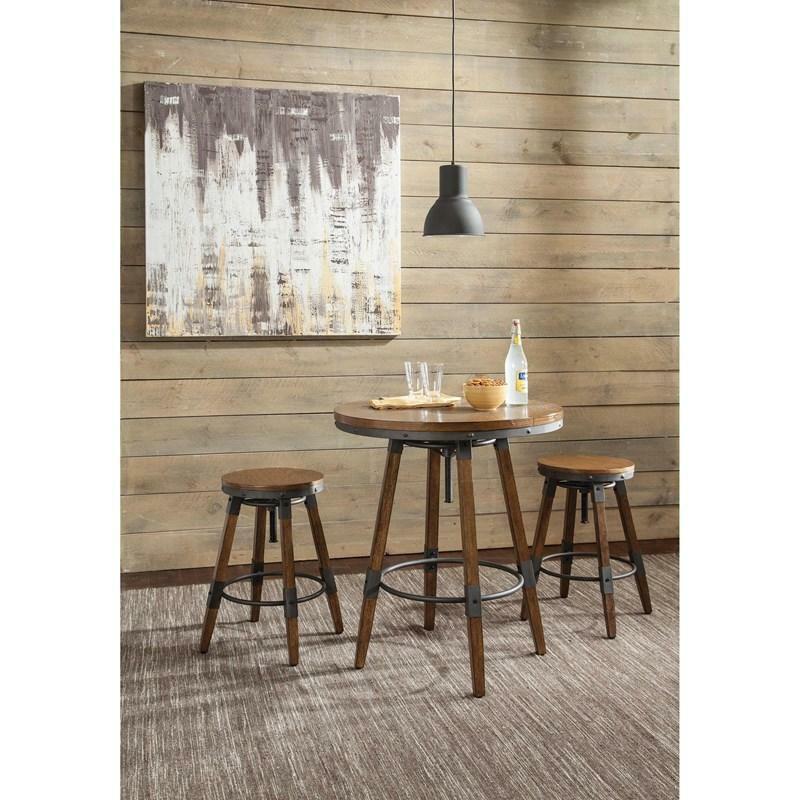 This rustic bar table by Scott Living is a cool way to sit down for a drink. 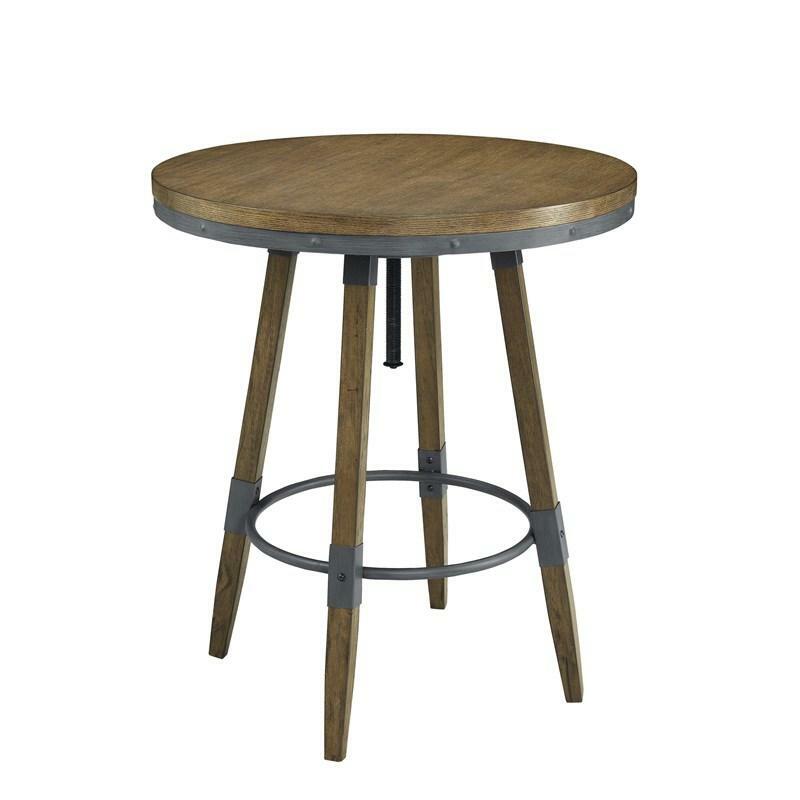 Constructed from solid hardwood and MDF with an oak veneer, this table comes in a weathered brown wire-brushed finish. 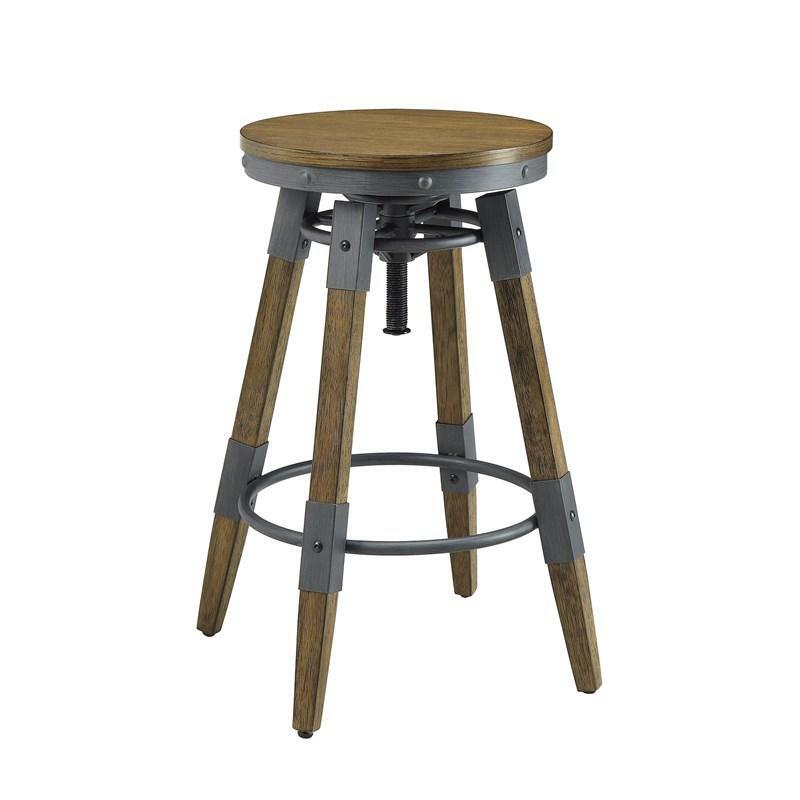 Hand-brushed metal details along the top and legs add to the rustic vibe of the piece. An adjustable table top helps this piece rise from 36 to 42 inches high. 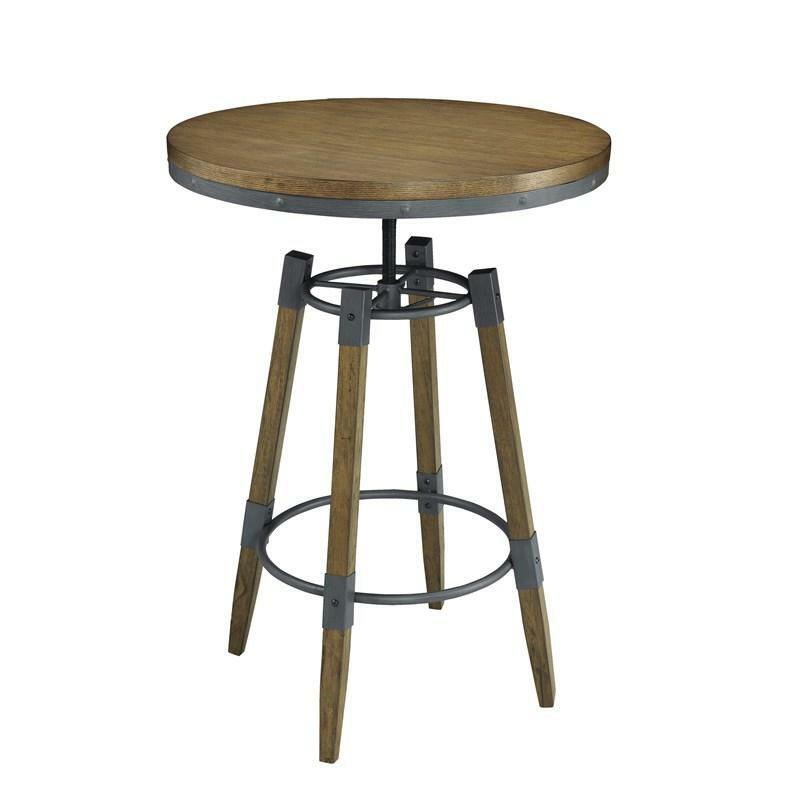 Give a saloon vibe to your bar setup with this rustic adjustable table. Volume 7.73 cu. ft. / 0.22 cu. m.